A popular singer ended up being mocked by her fans due to a mistake she made in one of her Instagram posts. 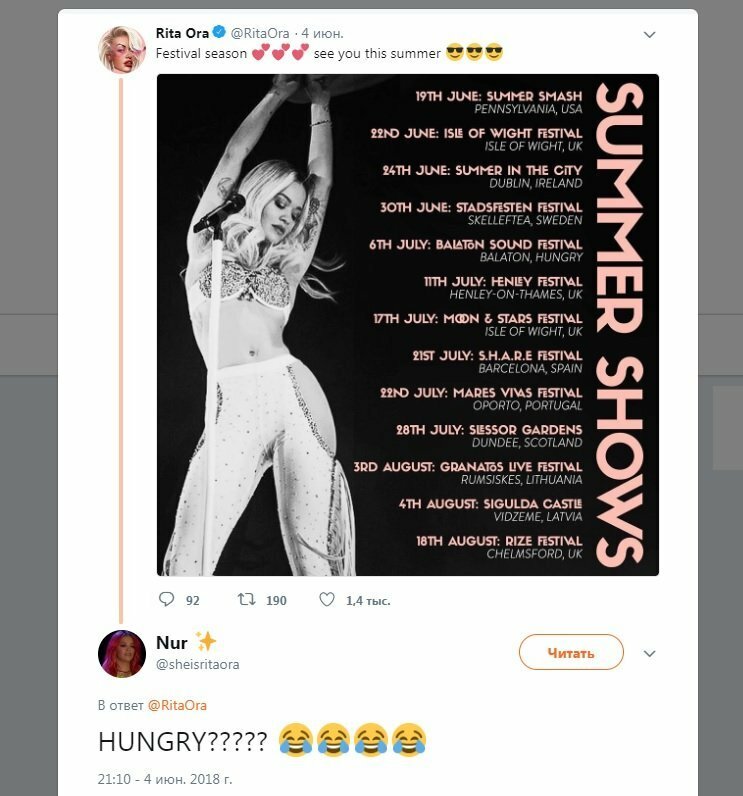 A British singer named Rita Ora ended up in an awkward situation after posting her new tour promo on her Instagram account, apparently without thoroughly checking the spelling. The poster that featured the list of Ora’s upcoming gigs stated that she will be performing at the Balaton Sound Festival in “Hungry” instead of “Hungary” – an apparent misspelling which somehow eluded the attention of the poster’s creators but did not escape the watchful eyes of Ora’s fans. According to the Sun, Ora quickly deleted her post when she saw the comments and realized her folly.